An amazing thing arrived unsolicited in the mail yesterday. 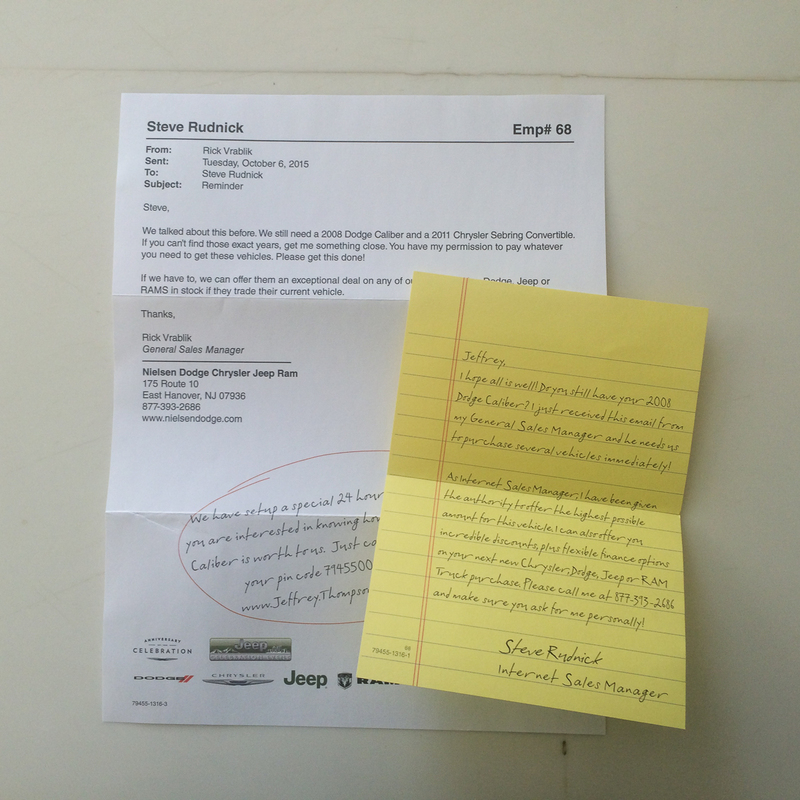 It included the above items: a fake email printout from a boss to a sales person telling them to buy my car, a fake handwritten note at the bottom to me, and a fake handwritten note on fake legal pad paper. It’s pretty easy to see through this and realize it’s junk mail, but the overall complexity of the package, the way my name and the make/model of my car is integrated, makes for a pretty amazing object. This will certainly be added to my collection of algorithmically-generated artist books and ephemera.